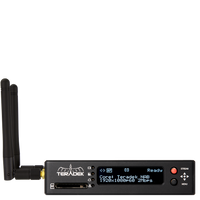 Thank you for your interest in Teradek Products. We will send you an email when this item is in stock and ready to ship. Be the first to get your gear. Pre-order with a fully refundable deposit of 20% and pay the rest when it's ready to ship. Please see pre-order agreement for full details.